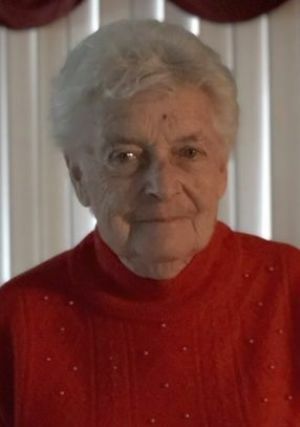 Betty I. Krause, age 87, of Ripon, WI, passed away on Monday, December 3, 2018 at Theda Clark Medical Center in Neenah, WI. Betty was born on October 24, 1931 in Pickett, WI, the daughter of Ervin and Martha (Strobush) Lungwitz. She attended school in Berlin, WI. On June 6, 1953 she married Edwin Krause in Auroraville, WI, and he passed away in February of 2013. Betty helped Edwin on the family farm and together they raised seven children. She enjoyed playing cards and her passion was bowling, which she did up until the very end of her life. Betty is survived by her children, Allen (Renee) Krause of Ripon, WI, Terry (Karen) Krause of Ripon, WI, Peggy (Glen) Stobb of Frederick, WI, Michael (Celesta Griffiths) Krause of Rosendale, WI, Russell (special friend, Jackie Clapp) Krause of Berlin, WI, Barbie (special friend, Eric) Petit and Jerry Krause both of CO; 14 grandchildren; many great-grandchildren; a brother, David Lungwitz; eight nieces and nephews; and a brother-in-law, Roy Krause of Ripon, WI. She was preceded in death by her parents, Ervin and Martha Lungwitz; her husband, Edwin Krause; two sisters, Irmie and Ruth; and a sister-in-law, Peggy Lungwitz. A graveside service and inurnment for Betty will be held at 3:00 pm on Thursday, December 6, 2018, at Loper Cemetery, Town of Ripon, WI, with Reverend Donald Deike officiating. A memorial is being established in Betty's name.